3 Does this work sharing wi-fi passwords from hidden SSID networks? 3.0.1 Can you see the wi-fi password of a router from an iPhone or iPad? 3.0.2 What if I forget a wi-fi password, can I still share it? 3.0.3 How else can you see a wi-fi password? 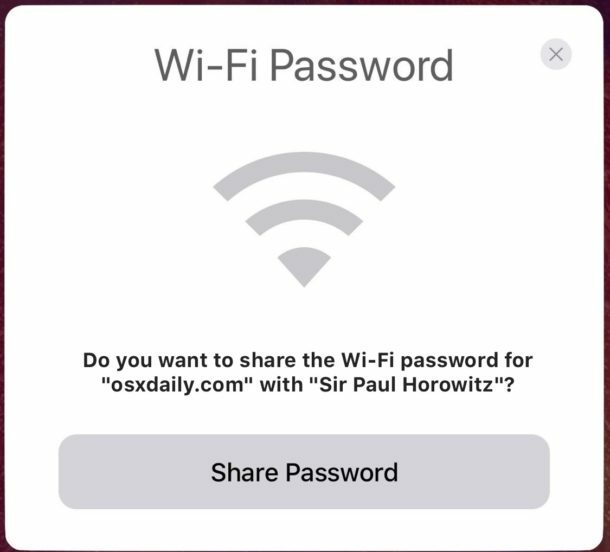 3.0.4 Can I manually bring up the wi-fi sharing password screen in iOS? 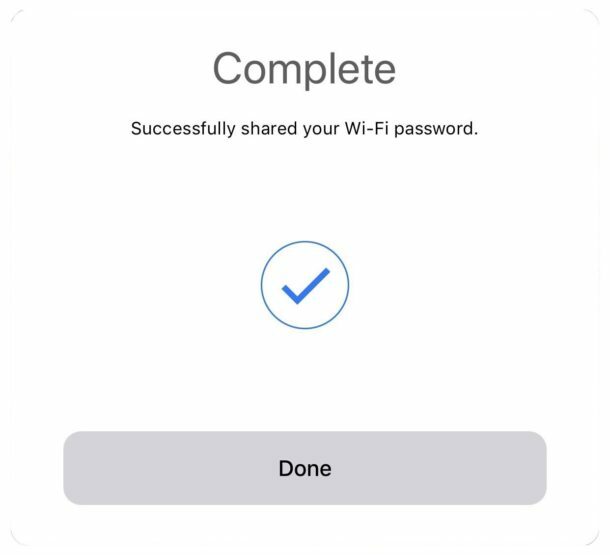 3.0.5 The wi-fi password sharing feature of iOS isn’t working, help!